I honestly don't have the money to go to the salon for a manicure!! I'd love to have nails that are perfectly clipped, cuticles that are well groomed and hands that are softer than a baby's foot...ha ha...but the honest truth is, my budget won't allow me trips to have someone do my nails for me. So if I want my hands to look AMAZING...I need some help from home! Lucky for me...Sally Hansen has my back! 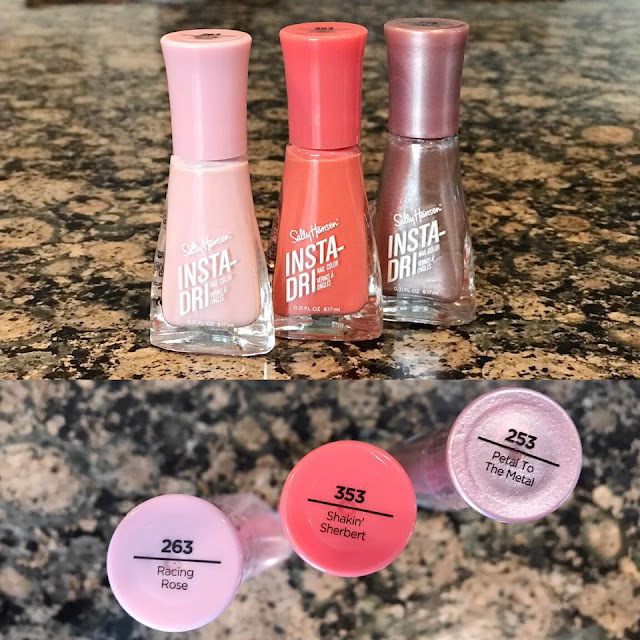 I can make my nails look just as nice, from my kitchen counter top with SALLY HANSEN "Insta-Dri " polishes. They sent me a few of their SPRING COLORS - "Shakin Sherbert", "Petal to the Metal" and "Racing Rose". 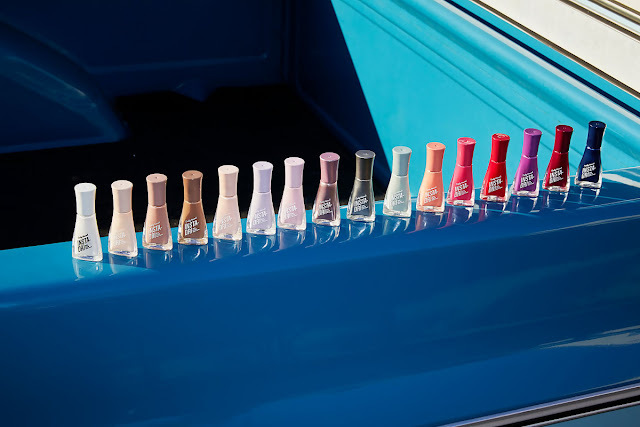 Sally Hansen Insta-Dri® Nail Color’s newly upgraded 3-in-1 formula with built-in base and top coat offers shiny, extended wear in a single step. I had so much fun with the colors, I did two different manicures with them. 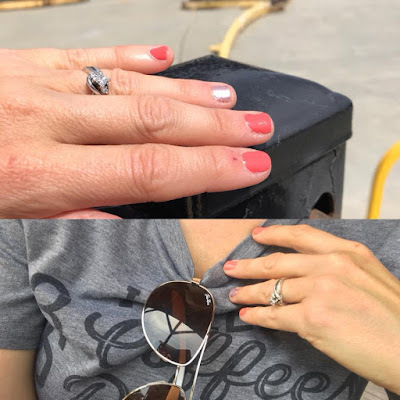 The first I did with the main base color as the Racing Rose, then I accented my ring finger nail with Shakin Sherbert and went back over all the other fingers with the Petal to the Metal (I'm obsessed with this one) to finish off my look. This was a lighter approach using these colors. 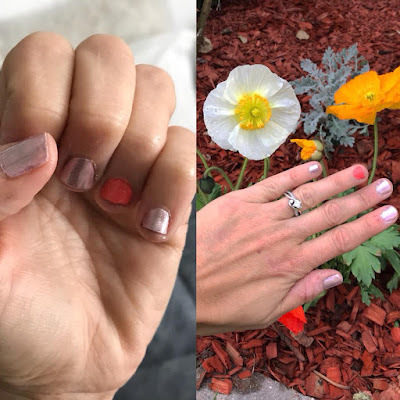 Then I went bold with the second manicure being all Shakin Sherbert, except the ring finger nail, which I used the Racing Rose and Petal to the Metal. Both looks are totally awesome and fun...and both make a FRESH spring statement, without the PRICE of a salon manicure! Plus, they already got some attention when I was out with the kids on this beautiful SPRING BREAK DAY! 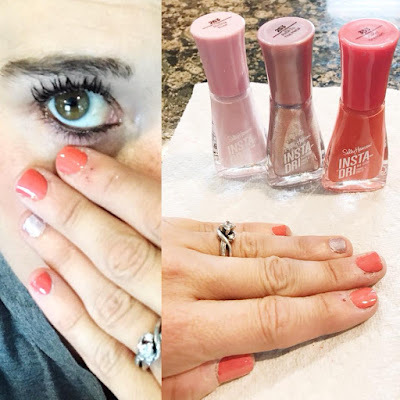 CLICK HERE to check out all the Insta-Dri products from Sally Hansen and pick some colors out for your next "IN HOME" manicure. 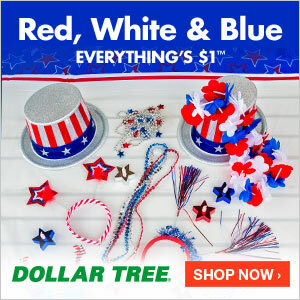 Save some money, and enjoy some sharp looking nails all from the comfort of your own home. I was not paid to feature this post! The only compensation I received were the products sent for this review/feature!